I'm so excited to welcome Lisa Jewel to the Bookish blog today. I just adored this book and was so excited when the author agreed to answer some questions. Check out her insightful interview below. What inspired you to write THE HOUSE WE GREW UP IN ? I’d just abandoned another book after three months and didn't have another idea in the bank to switch over to. So I started taking longs walks in the hope that inspiration would strike me. Then one day I looked up at the window of a flat that was clearly hoarded – opaquely dirty windows, drawn curtains, dusty paperwork piled onto the window sill – and I started wondering about who lived there and how their life had ended up like that. Then I overwhelmingly saw a structure that could make a great story – a house that becomes so hoarded by a mother that it forces her children to abandon it – and her – and then the arc that would bring them back together again to clear out the hoard and mend their broken family. Lorelei and her rambling messy cottage and her four children came to me instantly and fully formed. If by style you mean ‘style of writing’, then no. I don't think any writer deliberately sets out to write in a particular style. It's just the way you write, it's innate. If you mean ‘how I write’ then yes, I have a very specific way of writing; chaotically! I don't plan and I don't structure. I just dive in and see where I end up. Sometimes this works beautifully for me, other times it is disastrous. But if I try to be more organized, I lose my way because it doesn't feel organic. The working title for the book was The Bird House. 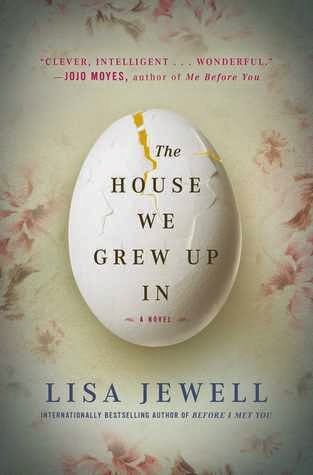 But as is nearly always the way, my publishers didn't feel that was quite right and there were literally weeks of back and forth and brainstorming until my editor finally said; The House We Grew Up In? and everyone said ‘yes!’ and sighed with relief! I'm not one for messages. I am more interested in creating involving worlds that people can inhabit for a few hundred pages, and characters who to do interesting things within that world whether it's falling in love, compulsively hoarding or trying to find a long lost father. If someone spots a message in there that means something to them, that makes them think about things in a particular way, then that is completely unpremeditated and of course, rather wonderful. I am currently reading a book called Daughter by Jane Shemilt. It’s a debut novel about a mother whose teenage daughter disappeared a year before and has still not been found. I’m only a couple of chapters into it but I can already tell it’s my kind of book. It’s nice to be reading something new after the Goldfinch, which I started on holiday in August and only just finished this weekend! It was wonderful but I do sometimes delay getting into overly long books, as they eat into my precious reading time. There's so many books I want to read! I love Penny Hancock, Tamar Cohen and Louise Millar, who are all three books into their writing careers and writing about quite dark themes that really appeal to me right now. If you had to do it all over again, would you change anything in THE HOUSE WE GREW UP IN? No, definitely not. It was the most fun of all my books to write. I genuinely enjoyed coming to it every day and I cannot say that about any of my other books. It has also had a truly great reception from readers, bloggers and reviewers. So no, for once, I think I got it pretty spot on! I think as for my nearly every writer, it started as a child. I wrote a lot of poetry and read four books a week and just knew that I really wasn't gifted in any other way. It would be writing or nothing. The most challenging thing is finding the plot. Because I always start without a plot I have to let it reveal itself to me page by page and of course that needs to be executed in such a way that the reader doesn't have to hang around waiting for it all to fall into place. I can get really impatient and incredibly frustrated when I can feel it floating away from me and have to try somehow to pull it back. Sometimes it feels technically impossible. But I always manage it in the end. I'm just dealing with a toxic family. I've managed to keep them away for all these years, and now they're drifting back and I know it has to happen but, still it's a lot to take on board. The last thing she should be doing in this condition of pathetic mental frailty was traveling across the entire planet to be reunited with her family. She'd tried to get out of it. She'd tried to persuade her mother that it would be better if she didn't come. She'd invented logistic hurdles that her mother had battled effortlessly out of the way. And then she'd found an iota of strength from somewhere and persuaded herself that she could do it, that she should do it, that she would do it. This family saga has so many compelling and come to life type characters, that you can't help but to fall in love with this treasure. At the heart of this story is a woman, desperate to leave her past behind and create a new life full of beauty, imagination and joy and give her children the childhood that she missed out on. This is a journey of rainbows and fairy tales, egg hunts and picture book fantasies that is held together by the fragile thread of growing up. Once her children are older Lorelei's whimsy and quirky nature become an embarrassment. They no longer understand her and find her to be a burden to her children. A tragedy in the family sends Lorelei, the main protaganist in this novel, over the edge and what was a quirk now becomes a serious hoarding issue. Each child walks away from the tragedy and their mother with their own problems and the perfect little bubble that Lorelei thought she had wrapped her family in ends up coming to a screeching hault. This book touched so many parts of me. As a mother I identified with wanting to create a beautiful universe for my children and the reality that no matter what you do as a parent, your children will always find it lacking in some way. As a daughter it made me smile to remember being embarrassed of my own mother and how big her quirks seemed to be to me. As a woman I recognized the need to be understood and accepted for my own quirks and as a sister I understood the magic thread that holds you together - because no-one understands your family like you do. There were so many parts to this book, most will find something relatable to their own life. I really enjoyed the way the writer let this story evolve and how the answers to this family's life-long questions were slowly revealed via their Mom's emails. This is, to say the least a complex set of characters and this book has humor, love and lots of heartbreak. I also found the psychological elements and the diagnosis of their Mom's illness very interesting. It is not a condition I was aware existed and it was insightful to see how devastating it can be to an individual and to their family. This novel was fun, tragic, heartwarming, suspenseful, playful, and well told. A beautifully written family saga that is worth the read! 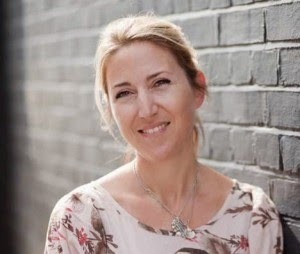 She now lives in an innermost part of north London with her husband Jascha, an IT consultant , her daughters, Amelie and Evie and her silver tabbies, Jack and Milly.